Today, we're living in a world where brand is everything and almost anything we see can make an impression on us. Good or bad. So how can your catering business, ice cream parlor, or gelateria stand out from the rest? 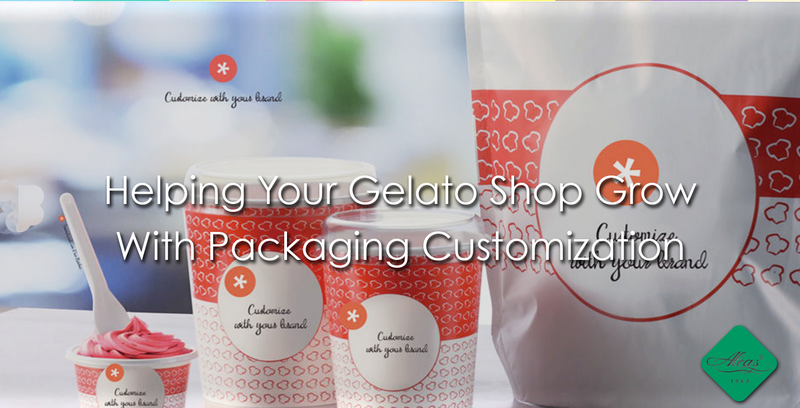 Read our blog to learn how customizable items for gelato and pastry shops can really help your business be successful. Welcome the spring with pinks, yellows and even greens! Wondering what we are fussing about with all these candy colors? It’s because Alcas offers a variety of fun and colorful dessert containers ranging from dessert trays, cake stands and even customizable items. Through the years, business owners in the food industry struggle in keeping up with the latest trends in plastic cups and containers. Keep in mind that nowadays it takes a lot of skills and abilities for your pastry or gelato shop to stand out form the competition. The design of your cups and containers has a major effect on your business. So, in order to keep the growth of your shop moving upwards, you have to keep the brand fresh by making it fun, eye-catching, and most of all innovative.